How Far is Alacrity Mountain Raga? At Mountain Raga, tradition meets trend in a beautiful way. The wonderful Mountain raga basks in the meeting of olden day palatial living and urban luxury. This exotic residential space is built to pamper your senses and reinforce the theme of archaic blended into an urban lifestyle. 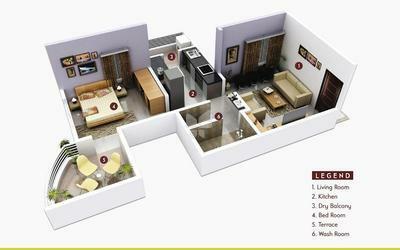 These homes are built to one’s desires of an ideal home life infused with warmth and happiness. Working towards this goal to turn dreams to a tangible and liveable reality, Mountain Raga residences have turned out a glorious edifice that is a living illustration of your fantasy home. For anyone looking to escape the hustle and bustle of a busy city life, Mountain Raga is the place to be. specifications A detailed, exact statement of particulars, especially a statement prescribing materials, dimensions, and quality of work for something to be built, installed, or manufactured. (Edith Wharton). RCC framed structure, designed as per Earth Quake Resistant Norms. Plywood door frames having laminated shutters with quality fittings. Marble Frames for toilet. Powder coated Aluminum Sliding Windows with Mosquito net, M. S. Grill and Stone at Sill Level. TV / Tel point in Living and Master Bed Room. 2' X 2' Vitrified tiles flooring of standard make for entire flat. Anti-Skid 1' X 1' Ceramic tiles for Terrace and 1' X 18" Glazed / Ceramic tiles for toilet flooring and for dado upto lintel level for toilet. Granite Kitchen platform with stainless steel sink and glazed / Ceramic tiles dado up to lintel level. Provision for Fixing Water Purifier and Exhaust fan. Concealed plumbing with standard sanitary ware of Sanitary and C.P. Fittings JAQUAR. O. B. D. paint for internal walls. External walls finished with superior quality Tex / Apex / equivalent paint. Provision of Good Quality Lifts of Schindler make. Compound wall for entire plot. Provision of cool roofs. Use of recycled content like fly ash in construction. Implementation of 'No smoking policy' in common areas of the project. Adequate daylight and fresh air ventilation. This article is about the corridor and meeting room. This is a larger space configuration. Painting : O. B. D. paint for internal walls. External walls finished with superior quality Tex / Apex / equivalent paint. WINDOWS: Powder Coated Aluminium Sliding Windows. PAINTING: O. B. D. paint for internal walls. External walls finished with superior quality Tex / Apex / equivalent paint. WINDOWS: Powder Coated Aluminium Sliding Windows with M S Grill andGreenMarble sill. DOORS AND DOORS FRAME: Plywood door frames having laminated shutters with quality fittings. Marble Framesfor toilet. KITCHEN: Granite Kitchen platform with stainless steel sink and glazed / Ceramic tiles dado up to lintel level. Provision for Fixing Water Purifier and Exhaust fan. PLUMBING: Concealed plumbing with standard sanitary ware of good quality fitting.. PLUMBING: Concealed plumbing with standard sanitary ware of good quality fitting. Alacrity Developers is a group of visionaries, having come together with the sole purpose of tending to the human desire of having a home where the heart can be. 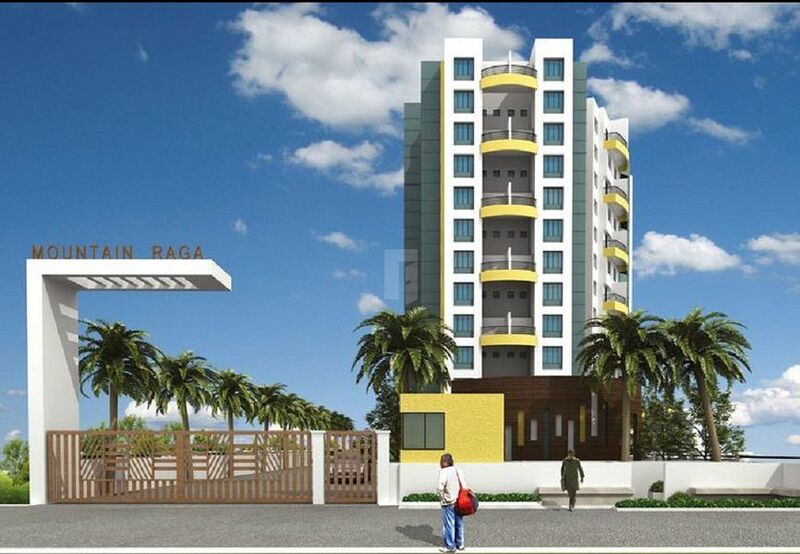 Leading into an emerging Real Estate player in Pune region, the company has pitched in to create abodes that will make you believe in the presence of heaven on earth. Launching itself with the promise of elegance, exclusivity and exuberance, the company is slowly making its way up, building residences that are instantly categorized as landmarks. Perfection has become synonymous with Alacrity Developers. In today's contemporary world, where we have luxury products in all walks of life, Alacrity makes honest endeavors to provide an impeccable dwelling to add to the list of extravagant possessions of yours. The company's mission as a real estate development is to enchant the customers with quality life spaces through constant innovations turning into luxury. The principle objective of Alacrity Developers is to create residences that offer world-class property development skills. The company is becoming recognized for its ethical and transparent business practices, quality construction, and high standards of property maintenance.